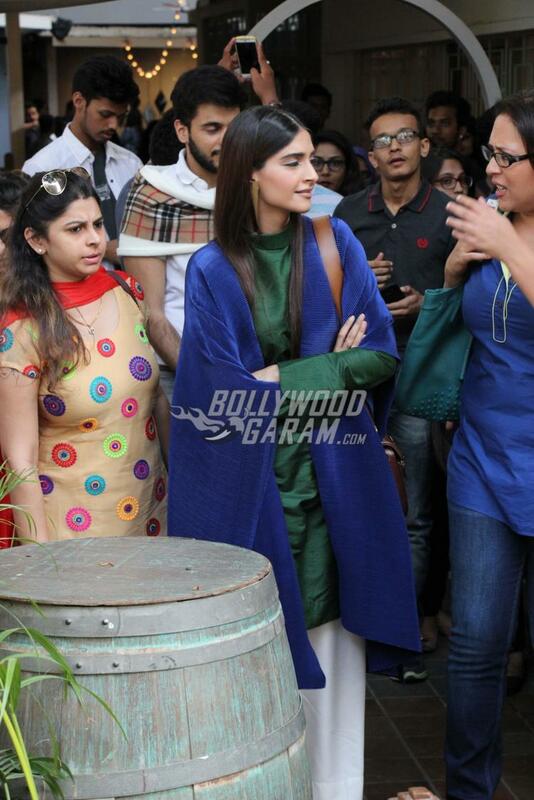 Home Actresses Sonam Kapoor Absolutely Nails it in a Payal Khandwala Kurta – Photos! 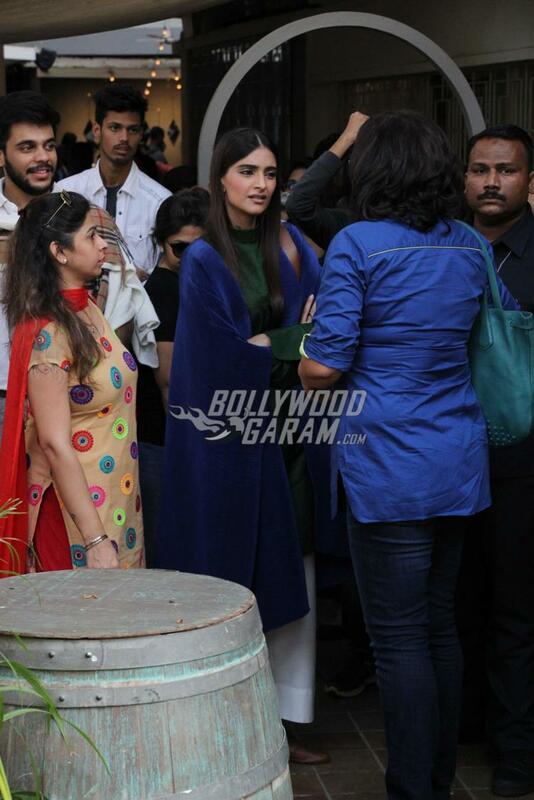 Sonam Kapoor Absolutely Nails it in a Payal Khandwala Kurta – Photos! Bollywood’s fashion diva Sonam Kapoor has always made sure that she’s spotted in the trendiest outfits whenever she steps out. The actress was snapped at a promotional event in Mumbai on March 10, 2017, in a beautiful high-neck emerald silk kurta and sapphire pleated jacket from the SS17 collection by Payal Khandwala. She paired it with white wide-legged pants and tan brown ballerinas. Sonam kept the accessories to a bare minimum, her block gold earrings complimented the entire look perfectly! She was last spotted at the opening of Raw Mango’s first store in Mumbai in a stunning saree paired with a monochrome top. Check it out! Sonam rarely steps out for random events, but when she does, she really knows how to make heads turn, and for all the right reasons. Her fashion sense is always on point, whether on the street, or walking international red carpets, like she does at the Cannes Film Festival. Sister stylist Rhea Kapoor is usually the one behind Sonam’s look and the two definitely make a great pair. 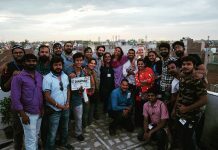 The actress in recent times has been making frequent trips abroad. There are reports that she will be trying her hand in Hollywood. Sonam, in a chat show admitted that she is trying to work out something in Hollywood as well, since Bollywood hasn’t been too lucky for her. She was, however, praised for her acting while taking on the role of the slain air hostess in the film, Neerja. Sonam doesn’t do a lot of films, but concentrates mostly on fashion and improving her style quotient. Sonam is currently looking forward for her upcoming movie Veere Di Wedding which also stars Kareena Kapoor. 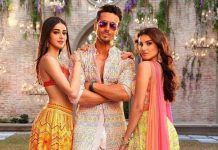 The movie is directed by Shashank Ghosh and is produced by sister Rhea Kapoor. Talking about the style diva’s fashion sense, one can’t end the topic without mentioning Sonam’s ravishing looks at Chandon’s party anthem launch. Stay tuned for latest updates on the fashionista exclusively on Bollywood Garam!